Congratulations to Dr. Jacqueline Batchelor Crosson, who has been appointed as the new principal of Pinkston Elementary School. Dr. Crosson most recently served as the assistant principal for Pinkston Street and L.B. Yancey elementary schools. She has over 20 years of experience in education with Vance County Schools. She succeeds Heddie Somerville, who was named new principal for Vance County Middle School for 2018-2019. 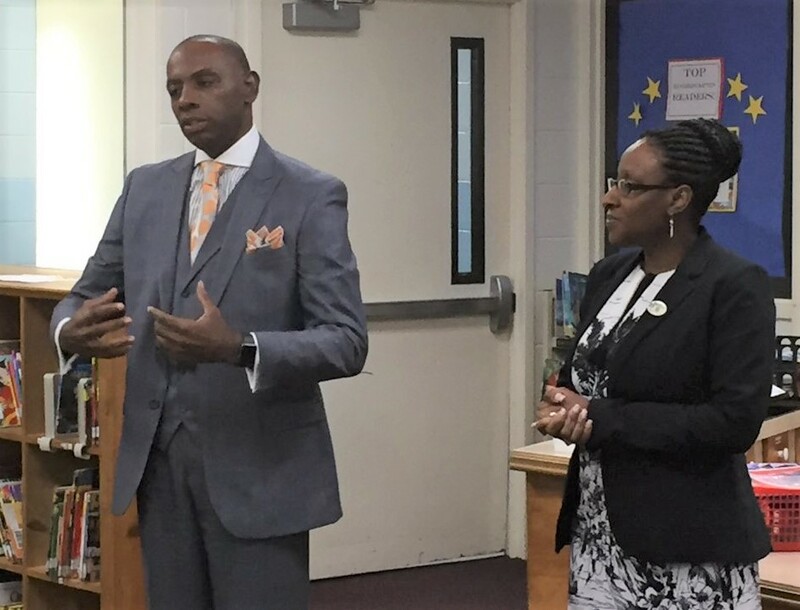 She is shown at right in the photo as she joins Superintendent Anthony Jackson in announcing her new appointment to Pinkston Street Elementary School staff members.